The Tropical Obstacle Course Challenge just got a HUGE upgrade! 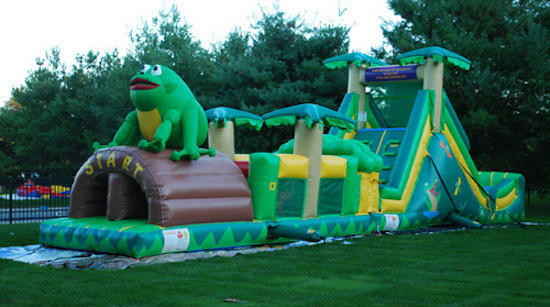 You can now transform the obstacle course to a WET Tropical Obstacle Course Challenge with the attachment of this mid-section you will have OVER 70’ft of wet slippery, sliding fun. You can also use this unit as a DRY obstacle course! DRY USE: REQUIRES TWO SEPARATE OUTLETS WET USE: THREE SEPARATE OUTLETS, HOSE.